Researchers have proposed that obesity is linked to numerous eye diseases including cataracts, glaucoma, age-related macular degeneration, and diabetic retinopathy. These eye conditions are primarily caused by high blood pressure, diabetes, and cardiovascular disease, issues seen much more frequently in obese people than others in the general public. The end result is that obesity can lead to an increase incidence of blindness. Carrying extra weight increases the pressure applied to blood vessels. In the eye, the vessels are extremely delicate, meaning that they are easily damaged when extra pressure is applied. Having excess weight can lead to these vessels becoming damaged, which ultimately can cause poor vision. High blood pressure and high cholesterol can provoke eye conditions including hypertensive retinopathy and retinal vein occlusion. In these conditions, the retina, or light receptor in the eye, has increased pressure applied to it. 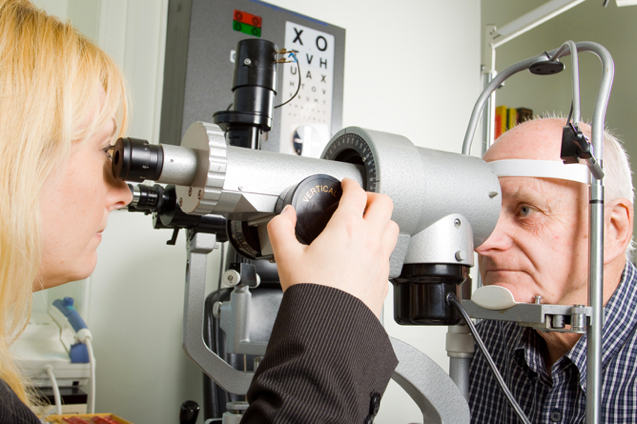 This causes a decrease in functioning and damage to the eye, leading to vision deterioration. Symptoms include blurred vision, dimness, and overall trouble seeing. Cardiovascular disease and diabetes are better known for their direct affects on the heart and blood sugar respectively, but they can also drastically alter vision. In eye diseases such as macular degeneration and diabetic retinopathy, the vascular system plays a direct role. Excess weight is known to create problems with the heart’s ability to pump blood and increased blood pressure, which affects the blood vessels in the eye. With diabetes, its most common presentation in regards to the eye is known as diabetic retinopathy. Diabetic retinopathy happens when diabetes damages the tiny blood vessels in the retina. This complication of diabetes is currently the leading cause of blindness. By answering just a few simple questions, find out immediately whether you are a candidate for the New You Sleeve and set up your personal consultation. Would You Like To Be A New You? Answer these simple questions and find out immediately whether you are a good candidate for weight loss surgery and set up your personal consultation. Based on the information you entered, you do not appear to be a candidate for weight loss surgery at this time. Please feel free to use the resources on this site to learn how to maintain a healthy lifestyle. Click the (X) above to return to the site. New You Sleeve is not currently a Medicaid provider. If you have other insurance or wish to consider cash payment options, please select a different choice from the menu above. Click the (x) above to return to the main web site. New You Sleeve is not currently a Medicare provider. If you have other insurance or wish to consider cash payment options, please select a different choice from the menu above. Contact us to find out about our next free seminar. The Gastric Band: Is It Still a Good Option?